Today’s workout is pure body weight and plyometric (except for kettlebell swings) and operates in descending rep manner. Six total times through as quickly as you are able to complete it. 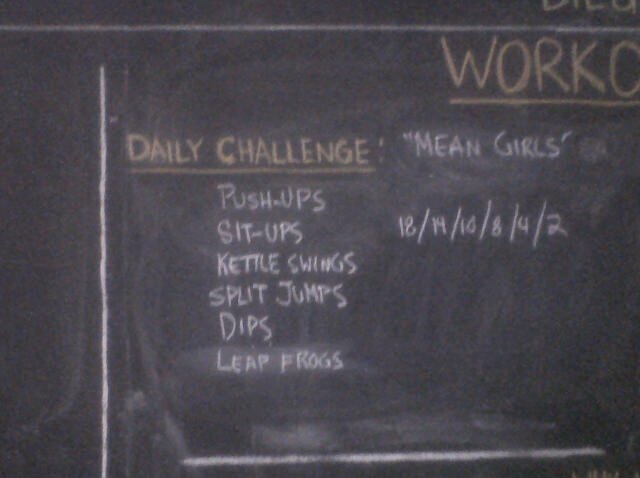 Leap frogs are a new one that we brainstormed last night, enjoy those (heavy sarcasm). 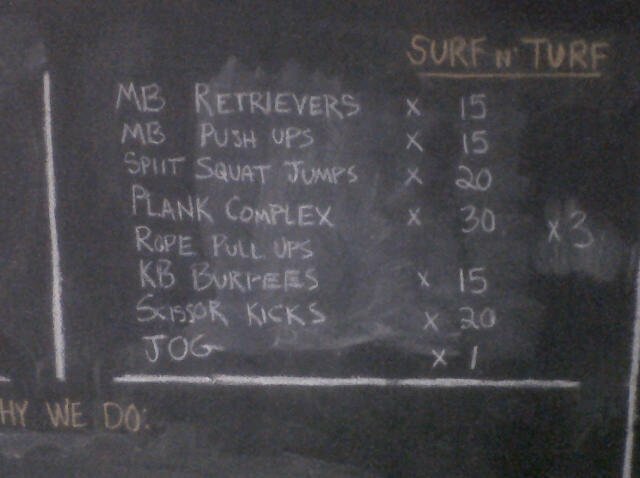 Today’s Surf n’ Turf Boot Camp is really a cool one, with lots of new exercises added to the mix. It should be very challenging and will certainly keep you on your toes.